During the production of oil and natural gas, excess gas is often flared for safety reasons. An efficiently burning flare does not produce visible smoke. However when incomplete combustion occurs black smoke can be produced – caused by wind, water, impurities in the fuel or poor mixing with air. During incomplete combustion, flaring can produce carbon monoxide, unburned hydrocarbons and other volatile organic compounds. These can have negative effects on public health and operators must often adhere to governmental regulations that prevent black smoke at oil and gas production facilities. The most efficient flaring occurs during complete combustion, when the right mixture of fuel and air is ignited at the top of a flare stack. This process generates Carbon Dioxide (CO2) and water, and the resultant flare does not produce visible smoke. However, achieving complete combustion becomes increasingly complicated when heavier hydrocarbon gases need to be disposed of. 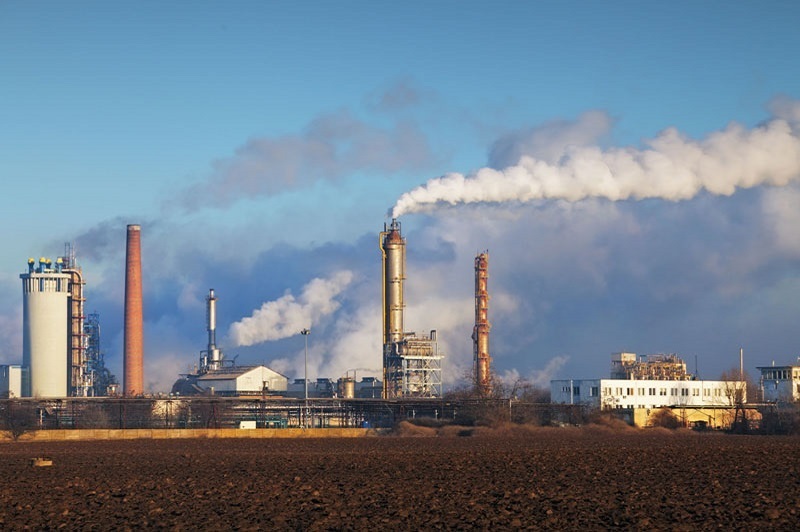 Oil and gas plants that require smokeless flares can use steam or air-assisted flare systems. These affect the mixture of fuel and air reduce smoke. While steam is considered the most effective method for producing complete combustion, it becomes inadvisable if there is a high local cost of water. The process also requires high-frequency continuous steam injection, which creates a loud noise that may disturb operators and nearby residents. Operators may instead choose quieter air-assisted flares to reduce noise pollution. Air-assisted flares also create a continual flow of forced draft air that cools the flare tip and prevents the flame being pulled down during high wind conditions. This will result in fewer maintenance requirements when compared to steam-assisted flaring. To help ensure steam- or air-assisted flares are having the desired effect at flaring sites, oil and gas companies will need to invest in accurate monitoring and measurement applications. One of the most accurate ways to measure flare gas is with ultrasonic technology. Fluenta’s FGM 160 Flare Gas Meter uses ultrasonic technology to effectively provide measurement data, allowing oil and gas companies to ensure flaring is performed efficiently.